Advancements in digital technology have significantly altered the way organizations today operate. Businesses across the globe are reevaluating how they approach, manage and run virtually all aspects of the supply chain. By leveraging innovative solutions, such as robotics and automation, companies are able to streamline workflow processes, improve efficiency, increase visibility and lower costs. Supply chain data: According to the source, one of the main focus areas for the digital supply chain transformation is enhancing the data readily available in the extended of supply chain. Only 15 percent currently have access but more than half anticipate improvements over the next few years. However, having access to supply chain data is of little use unless it is being interpreted and applied in meaningful ways. Just 23 percent of survey participants said they currently analyze data from their extended supply chains, yet nearly 70 percent indicated they will five years from now. Supplier automation: Suppliers play a pivotal role in supply chain success, which can help explain why nearly all, or 95 percent, of organizations plan to improve the automation processes they have with their partners in the near future, including being able to get real-time status updates. Cloud-based software: Another area that Business.com reported as being a key driver of digital supply chain transformation is cloud solutions. Currently, only 6 percent of companies use cloud-based software for the majority of their processes and two out of three participants use it for less than a quarter of their software. Almost half of survey respondents still use traditional modes of communication throughout their supply chains, such as email, phone and fax. Ensuring a successful digital transformation takes more than simply adopting the latest tools and technologies. Business leaders must make sure that the right investments are being made that will provide a high return on investment. And, for most companies, this means that a valuable area of focus should be order and spend management. This week, Supply Chain Digital highlighted the reasons why an increasing number of companies are investing in order management automation. Facing growing pressure to reduce costs, increase value and enhance the experience of customers, automated order management systems allow supply chain leaders to eliminate many of the errors and inefficiencies attributed to paper-based processes. Additionally, this technology provides an opportunity to gather larger sets of supply chain data, mitigates risk and compliance issues and improves visibility. It is nearly impossible to achieve digital supply chain transformation, though, without assessing the state of procurement within the organization. According to Spend Matters, approximately 75 percent to 90 percent of companies have immature levels of procurement. Although these businesses use technology for procurement functions, it is not sophisticated and lacks integration and automation capabilities. On the other hand, those that are categorized as having mature procurement models (only about 10 percent to 15 percent) are able to "capture indirect spend, where buying processes are integrated with e-procurement deployments and where supplier networks are frequently used for onboarding and for sharing information and documents." As the source pointed out, there a wide range of benefits that advancing toward a more mature procurement model can offer businesses, including greater levels of reporting, visibility, supplier integration, compliance and risk management. Yet, when it comes to deciding which procurement technology will prove to be a valuable investment, corporate executives have to make some decisions. Among the most important is what kind of digital procurement system to use. Cost: Although the costs of on-premise software may initially be lower, the expenses associated with the hardware, servers and running and maintaining the critical infrastructure can quickly add up - making subscription cloud solutions a more appealing and cost-effective choice for many. Performance: With so many supply chain managers wanting to gain more visibility and control into processes, it would be incredibly useful to have a procurement system that provides access to real-time data and on-demand adaptability. This is an advantage of cloud software that many on-premise applications don't offer. Security: One of the most crucial aspects of supply chain management is security. The sophisticated software and infrastructure provided by cloud computing platforms make it a preferable solution over in-house systems. 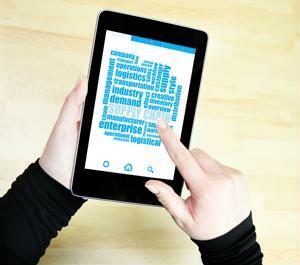 There are many reasons why organizations today are starting to digitally transform supply chain and procurement processes. However, it is of utmost importance that, in their efforts to do so, company leaders take the time to not only ensure the right technological investments are being made, but that they are being adopted and implemented correctly as well.